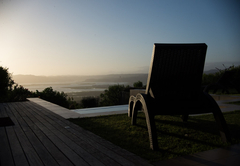 Soosa Lagoon Views Luxury is a property providing self catering in Knysna for up to 8 guests visiting the Garden Route region. 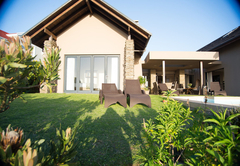 Soosa Lagoon Views Luxury is a spacious home located in the Pezula Golf Estate. 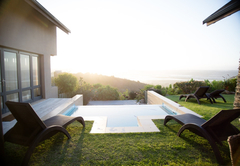 The property provides self catering accommodation for eight guests and boasts lovely views of the Knysna Lagoon and the distant Outeniqua Mountains. 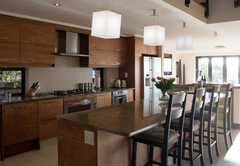 This double storey home has four bedrooms and four bathrooms. 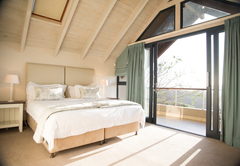 Each bedroom is furnished with a King-size bed which can be converted into twin beds and each room has either an en-suite or private bathroom. 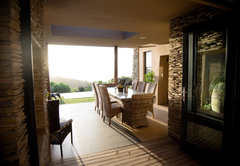 There is an open-plan, fully equipped kitchen as well as a separate scullery area. 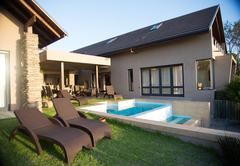 The dining area has an eight seater dining table and the adjacent lounge leads to a furnished entertainment area with a gas braai. 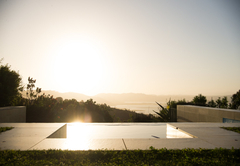 There is a garden and a plunge pool overlooking Knysna. A double garage is available for three cars. Guests have access to the award-winning 18-hole golf course, an outdoor swimming pool and clubhouse, a tennis court in the estate. There is a 5 Star hotel in the estate as well, which offers a spa, gym, an age-restricted indoor heated pool, 2 restaurants, and a play area for children. Executive North Facing property. 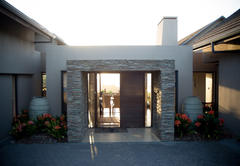 4 bedrooms with 4 bathrooms en-suite. 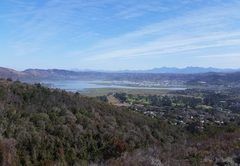 Great views over the lagoon and Outeniqua mountains. Top finishes and attention to detail. Response timeSoosa Lagoon Views Luxury typically responds to requests in 5-10 minutes.